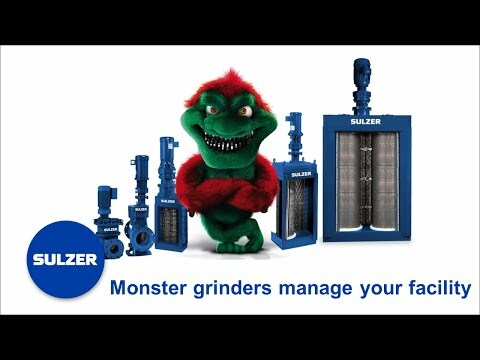 Muffin Monster™ sewage grinders represent the best-in-class technology for wastewater solids reduction. With over 35000 installations, the proven capabilities of the Muffin Monster is legendary in providing solutions for the ever more stringent operational needs arriving throughout the industry. 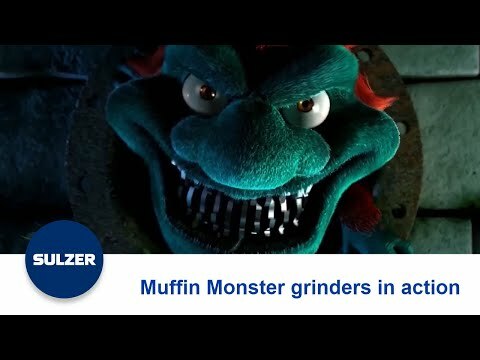 Muffin Monster sewage grinders are available with the unique Wipes Ready™ suite of technologies. It is designed to capture all wipes in the waste stream and shred them into small pieces that will not reweave into a ragball in sewage systems. Wipes Ready cutters* – A combination of serrated cutters and knurled spacers cuts wipes in two directions. The result is smaller particles that cannot reweave downstream. Optimized cut control (OCC)* – The OCC gear ratio optimizes shaft speeds to enhance the cutting action and cleaning of the cutters, which in turn improves the performance and life of the grinder. Please note that different Muffin Monster models feature different Wipes Ready options. The 10K Series Muffin Monster is a compact grinder, tough on solids in sludge and sewage applications. It fits into areas with limited space requirements while still providing the necessary power for downstream protection. The 10K Series is an ideal, low-cost solution that goes beyond sludge grinding at resource recovery facilities. It fits perfectly into office buildings, apartment complexes, resorts, retails centers and package treatment plants. (2) Flow based on optimum channel conditions. Troublesome solids are now easier than ever to reduce with the Muffin Monster dual-shafted grinder. Its slow speed, high-torque design shreds tough solids that typically cause sewer problems. The 30K Muffin Monster is available as both inline and open channel configurations. (1) Flow based on optimum channel conditions. Anaerobic digestion requires temperature equalization and the proper homogenization of the biomass. Floating crusts must be broken and the formation of foam must be prevented. Sulzer can provide an ideal homogenization solution for many common digester designs.